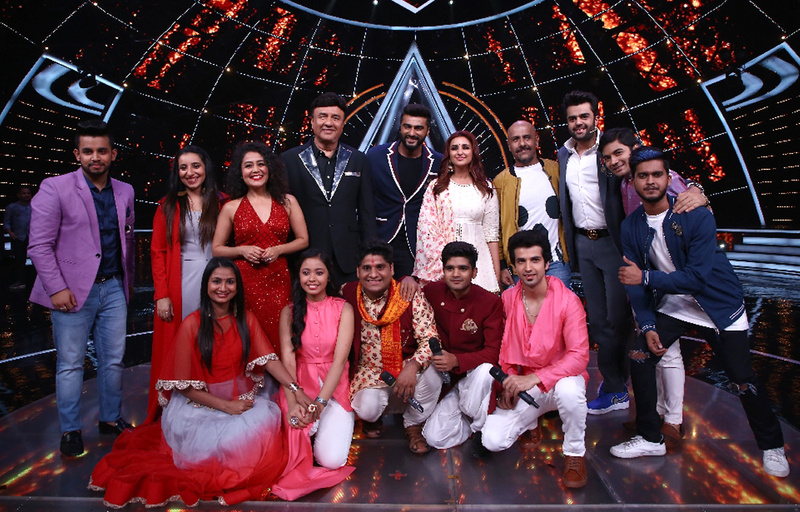 Sony Entertainment Television’s Indian Idol 10 is all set you to take you on a notch higher when Namaste England starcast Arjun Kapoor and Parineeti Chopra will be seen enjoying the performances of the Top 9 contestants of Indian Idol 10. The duo who had come to promote their upcoming movie Namaste England have fallen in love with the singing of each of the contestants. Parineeti and Arjun Kapoor declared Salman Ali as their favorite contestant. Don’t miss out for Parineeti and Arjun Kapoor dancing on their favorite tracks from Ishaqzaade, Parineeti performing a number from her upcoming movie with Vishal Dadlani and Arjun Kapoor and some mind blowing duet performances by the top 9 contestants. The show will witness some outstanding performances by the contestants with the judges Neha Kakkar, Anu Malik, Vishal Dadlani and some craziness with the host Maniesh Paul.